There are numerous types of bulbs on the market which makes it easy to pick the wrong bulb. There are numerous types of bulbs on the market which makes it easy to pick the wrong bulb. Picking the wrong one can mean that you may have just potentially made a significant lighting blunder. Bulbs have a range of intensity and colour which are measured by the Kelvin scale. 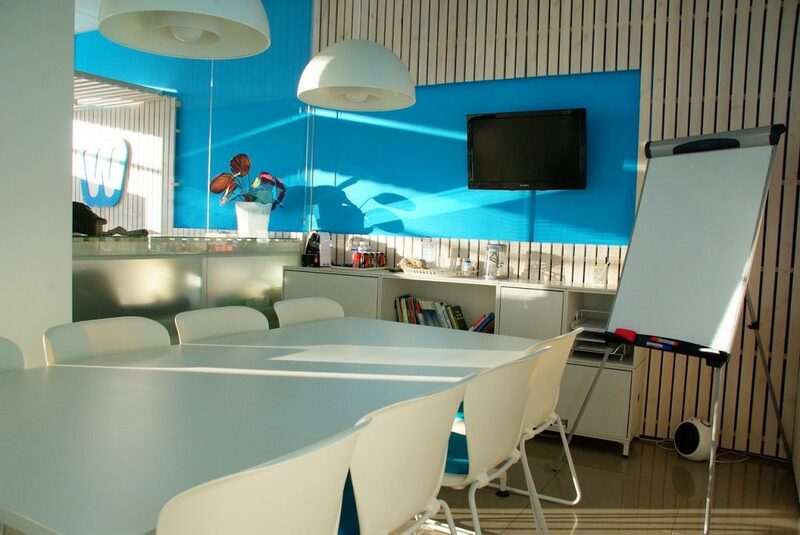 Bluer light tones can help to energize and enhance creativity, a good tone for brainstorming rooms. Middle tones help to keep people alert and motivated, while warmer lighting in smaller rooms help people to relax, engage and trust each other. It is important also to consider the size of the bulb. If your office is small then perhaps a smaller sized bulb is the best option. Using a large bulb in a smaller office will mean that the intensity is probably too high for the space. In New Zealand many offices are too brightly lit. The same level of brightness is not required in all areas of the office. For example; The ideal lux level for a working office space and reception area is 320 lux, compared to passageways and bathrooms with a ideal lux level of 80. By renting a lux meter you can determine your current light levels in your workplace and make changes where necessary. It is not uncommon for office workers to suffer from eyestrain or headaches due to bright overhead direct lighting. Rather than having overhead lighting being excessively fluorescent, use task lighting bulbs that have a low glare. Gooseneck lamps are a great option for task lighting as they have the ability to cast more or less light in a particular place, depending on light requirements. Workers completing more specific tasks will appreciate a desk lamp and see a boost in productivity. Don’t forget about natural light, for a start it is free! Secondly, there is plenty of research that shows the positive effects of the sun on the quality of life for a worker. It also impacts how well they sleep at night. Any increase in a worker’s mood is sure to benefit the company. Companies where office spaces have been renovated to include more natural lighting report happier workers, less illness, less absenteeism, increased productivity and better job satisfaction. Lighting is also a safety issue. Lighting should be set so that workers do not have to strain to see but also not so harsh or positioned in a place that will cause eyestrain. Light switches should be positioned so that they can be easily turned on upon entering the room. All areas of the room should be adequately lit to prevent accidents.